It’s hard not to say there’s been some great series going on in television. Since the 90s, when shows like The Simpsons changed the field of the medium entirely, TV has had a long-lived renaissance. You can argue about the quality of such dismal reality TV shows that play on MTV or TLC, but there’s such great series coming out. Breaking Bad and Mad Men are the best character driven dramas on air, Parks and Recreation and Louie deliver plenty of laughs each week, and The Daily Show and Colbert Report give the goods every night. Film is a harder market for quality entertainment by comparison. That’s not to say there aren’t great recent films but there aren’t many these days. Still, comparing the two isn’t exactly fair. TV and film have as much in common as typing and calling. They exist on a similar format but have an entirely different structure. Films rely on a continuous singular narrative while TV series exist to give slow, episodic structures. In other words, television needs a successful formula to keep it fresh to prevent repetitive episodes. 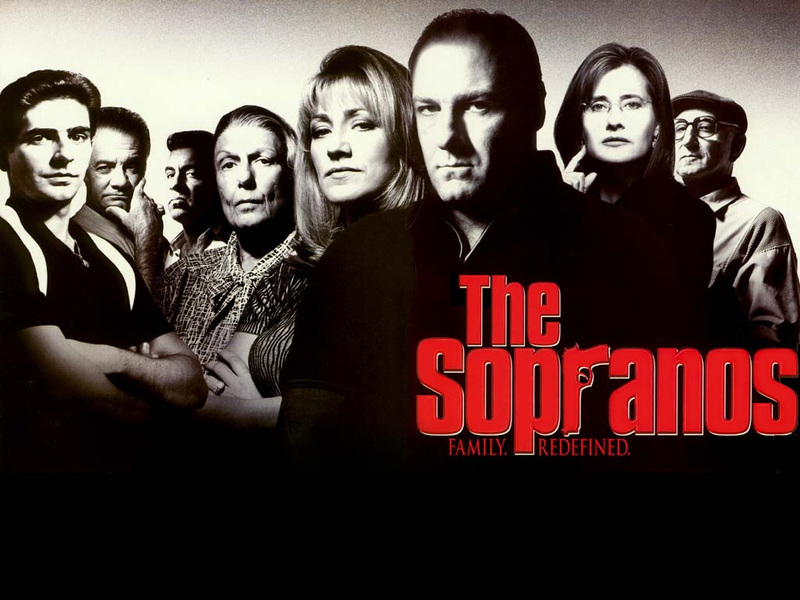 While The Godfather and GoodFellas share many of the same themes as The Sopranos, they exist on too different mediums to compare to. Even comparing TV to their movie spins (such as South Park to South Park: Bigger, Longer and Uncut) is a stretch. That’s not to say movies and television are dissimilar. Both have gone through rapid changes in the last few years in their formats. Films can now be shown in 3-D or offered at home on V. O. D. The way TV can be seen has adapted to new consumer products as well; people can watch their favorite shows online or with DVR and now even sites like Netflix are getting into the industry, with heavy hitting shows like Arrested Development, Orange is the New Black, and Spacey’s own House of Cards. It’ll be interesting to see where both TV and film goes. There will certainly be some more rapid changes in the next ten years or so. Posted in Analysis, Movies, TV | Tags: 3-D, Arrested Development, Breaking Bad, Film, GoodFellas, House of Cards, Kevin Spacey, Louie, Mad Men, Orange is the New Black, Parks and Recreation, South Park, South Park: Bigger Longer and Uncut, The Colbert Report, The Daily Show with Jon Stewart, The Godfather, The Sopranos, TV, TV vs. Film, V. O. D.
TV does seem to be a stronger medium these days. After the results of this summer’s box office with the failure of tentpoles, it seems that some of those failures could have fared better if they were greenlit to be a TV series instead of a leap to the big screen; operative word being “could”. That way, there wouldn’t be that much crowding in the theater. Thanks for the comment. That’s an interesting idea. If a movie as big of a flop as The Lone Ranger appeared on TV, it might have gotten more popularity since more people would probably want to watch that at home. I’m more of a movie person, so whenever I hear stuff like this I find it hard to believe. Though I don’t really watch enough TV to have an opinion of myself. I just like films as a format better. The episodic stuff really wears me down after a while and I usually get sick of the characters and the events that are happening on the show. There are only a few shows where I have seen all the episodes of and they’re all one or two seasons, for exactly that reason. Thanks for the comment. I typically find myself more as a movie person, but I love plenty of TV shows. I agree that multiple episodes can wear a series down (like The Killing for instance), but the best shows like Breaking Bad manage to keep or grow their suspense and intrigue from their pilot. Thanks for the comment. Try giving Breaking Bad another shot, it gets better each passing season. TV is a time issue for me as well since it’s harder to keep up. I didn’t start watching Mad Men until season 3 and I had to catch up on the first two quickly. Eh…. I think television was starting to go that way, but it has recently taken a turn for the worse. 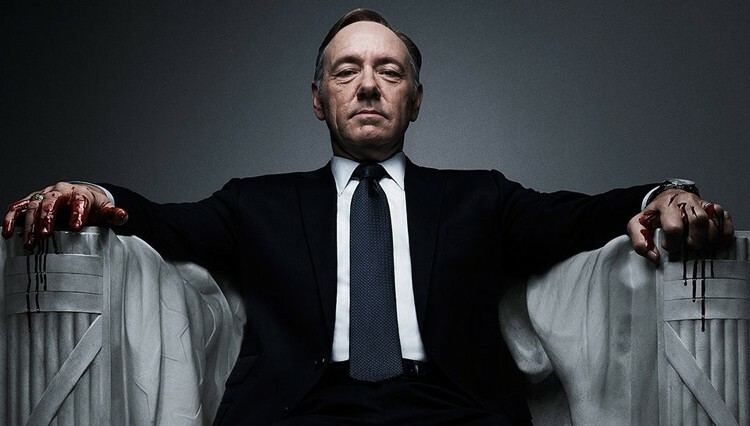 House of Cards is a very interesting show, granted, but it feels like there are less interesting shows now then 5 or so years ago. It might only be a lull, but we are now being inundated with mediocre network efforts, reality shows about hillbillies, and premium cable shows too interested in being gritty than being good. With the departure of Breaking Bad and the long hiatuses of Game of Thrones, there ain’t much on to watch. Thanks for the comment. I agree partially about your point. It’ll be sad to see Breaking Bad and Mad Men go soon, but I still think there’s plenty of great shows playing on TV like Louie and Justified. Still, I feel like cable has the best series these days since they can offer more creative control. 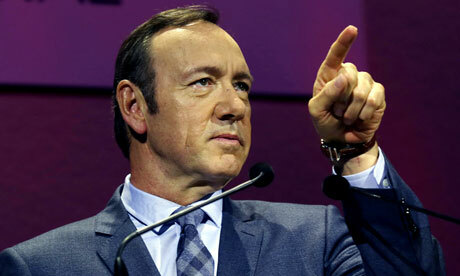 Spacey is one of my favorite actors. He is right about the state of movies today. Hollywood studios are churning out same old summer blockbusters or raunchy comedies. Thanks for the comment. I agree, Hollywood seems to rarely give anything original these days. Yeah, TV can be more interesting but also because it allows more time to really develop all the characters. Like you say comparing them is impossible as you wouldn’t be able to have something as complex as The Wire boiled down to a 2 and half hour movie. Thanks for the comment. Great point. Sometimes something that’s big and expansive can take place on TV instead of film.